Formerly a traditional working farm. 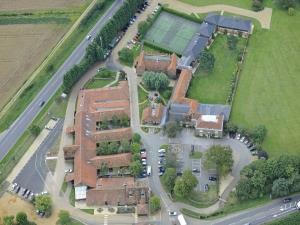 Extensive original buildings now blend with new facilities creating an ideal location within easy reach of King's Lynn, Sandringham and the north Norfolk coast. The hotel's extensive grounds complement the property's relaxing and informal atmosphere. Extensive health and leisure facilities. At jct of A148 and A149, King's Lynn bypass. Turn left out of station keeping in right lane. At traffic lights turn right. Continue straight on Edward Benefer Way. Continue until road goes up along hill. Knights Hill Hotel is at top on right-hand side.